ARLINGTON, VA; JULY 25, 2011 — PBS will commemorate the tenth anniversary of September 11th with a special series of new and encore programs leading up to and continuing beyond Sunday, September 11. Programs in news and public affairs, science, and the performing arts are planned as part of the remembrance. Beginning at 4:00 p.m. on September 11, the entire PBS schedule will be devoted to special programming. In addition to these broadcasts, PBS.org will feature comprehensive coverage of the tenth anniversary of September 11th, including full-episode streaming of programs the day after broadcast and archival programs chronicling the attacks’ impact on our nation. “As America commemorates the anniversary of this tragic event, PBS takes a deeper look at how it has transformed our collective perceptions of everything from our spiritual beliefs to national security to the impact two wars are having on our military families,” said John F. Wilson, PBS Senior Vice President & Chief TV Programming Executive. On Sunday, September 11, at 8:00 p.m., PBS NEWSHOUR presents "America Remembers - 9/11," a 90-minute special broadcast commemorating the 10th anniversary of the attacks. The PBS NEWSHOUR team will examine the significance of the day in many different communities across the nation. Hari Sreenivasan will narrate an account of the three major memorial observances at Ground Zero in New York City, at the Pentagon near Washington, DC, and in rural Shanksville, Pennsylvania. Jeffrey Brown will speak with several contributors to a new book, Legacy Letters; they have all written letters, filled with insights gained in the past 10 years, to the family members they lost when the Twin Towers collapsed in New York. Ray Suarez will explore the attitudes of American Muslims, their efforts to get beyond the deep mistrust caused by 9/11 and their perspectives on what the future looks like for them; this story will be shot in Murfreesboro, Tennessee. Judy Woodruff introduces viewers to a generation of young Americans who know only a post-9/11 world and visits a small town in California that has made extraordinary contributions, in terms of young lives lost, to the conflicts in Iraq and Afghanistan. Gwen Ifill will explore a decade of war’s impact on hundreds of thousands of soldiers and their families and the nation’s efforts to care for them. The broadcast will also include several pieces of a “video quilt” the PBS audience has been invited to help produce, using the PBS NEWSHOUR’s social media sites. At 9:30 p.m. on the 11th, PBS presents GREAT PERFORMANCES "A Concert for New York." The New York Philharmonic, with conductor Alan Gilbert, soprano Dorothea Röschmann, mezzo-soprano Michelle DeYoung, and the New York Choral Artists (Joseph Flummerfelt, director), performs Gustav Mahler’s Symphony No. 2, “Resurrection” in a concert for New York for the tenth Anniversary of 9/11 – in remembrance and renewal. Taped at Avery Fisher Hall in Lincoln Center for the Performing Arts in New York City on September 10. On Wednesday, September 7, at 9:00 p.m., NOVA presents "Engineering Ground Zero," an epic story of engineering, innovation and the perseverance of the human spirit. 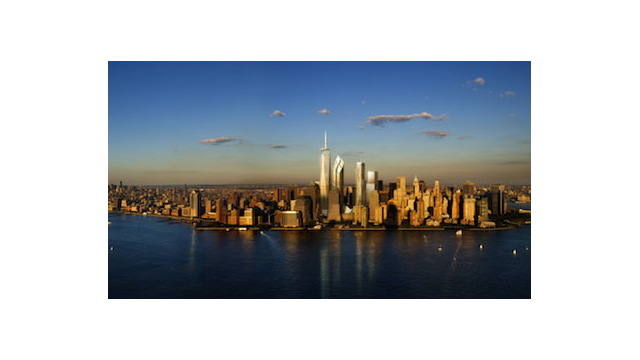 With extraordinary access granted by The Port Authority of New York and New Jersey, “Engineering Ground Zero” follows the five-year construction of One World Trade Center (1 WTC) and the National September 11 Memorial & Museum. The program features interviews with 1 WTC architect David Childs; Chris Ward, executive director of the Port Authority of New York and New Jersey; Mayor Michael Bloomberg, chairman of the 9/11 Memorial Foundation; and Michael Arad, the man behind the breakthrough concept for the 9/11 Memorial. A series of both new and encore FRONTLINE programs is planned in conjunction with the tenth anniversary. In the years after September 11th, FRONTLINE produced more than 45 hours of award-winning films documenting the 9/11 attacks and America’s response to them. On Tuesday, September 6, at 9:00 p.m., the FRONTLINE team that produced “Bush’s War,” “The Torture Question” and “Cheney’s Law” teams up with Pulitzer Prize-winning journalist Dana Priest to investigate the dramatic changes that have reshaped America in the last decade. "Top Secret America" examines the history of the dark side of America’s “war on terror.” From the creation of black site prisons abroad and super-secret facilities here in America, to targeted killings and covert wars waged by special forces, to a multibillion-dollar terrorism industrial complex; FRONTLINE and Dana Priest ask how a decade of fighting terrorism has reshaped the country and whether it has made us any safer. FRONTLINE also presents “The Interrogator,” featuring a rare interview with Ali Soufan, the FBI agent at the center of the 9/11 investigations, on Tuesday, September 13, at 9:00 p.m.
Coverage of the tenth anniversary of September 11th will continue throughout the week on other PBS programs, including TAVIS SMILEY and WASHINGTON WEEK WITH GWEN IFILL AND NATIONAL JOURNAL. The complete schedule of commemorative programs follows; online streaming information is noted beneath listing information. What is it about a piece of paper, a chunk of metal or a small coin that provokes powerful memories? This program examines the importance and meaning of items recovered after, or offered in response to, 9/11, the Oklahoma City bombing and the Vietnam War.. The film is set to the music of Philip Glass and narrated by Frank Langella. When the Twin Towers fell, among the thousands killed was the one man who may have known more about Osama bin Laden and Al Qaeda than any other person in America: the FBI’s former top counterterrorism agent, John O'Neill. Forced out of the FBI after battles with the top brass, O’Neill took a new position in the private sector — head of security at the World Trade Center, where he was killed on September 11. The story of O’Neill’s life and death provides a rare glimpse inside the FBI and helps answer the question: What did the government know? Tuesday, September 6, 2011, 9:00-10:00 p.m. ET FRONTLINE “Top Secret America” Full-length streaming video available on PBS.org on September 7. FRONTLINE and Pulitzer Prize-winning journalist Dana Priest ask how a decade of fighting terrorism has reshaped the country and whether it has made us safer. Wednesday, September 7, 2011, 9:00-10:00 p.m. ET NOVA “Engineering Ground Zero” Full-length streaming video available on PBS.org on September 8. Program follows the five-year construction of One World Trade Center (1 WTC) and the National September 11 Memorial & Museum. This critically acclaimed film explores how peoples’ beliefs — and unbelief — have been challenged since September 11, and how they are coping with difficult questions of good and evil, God’s culpability and the potential for darkness within religion itself. From survivors who were pulled from the wreckage of the Twin Towers to the widow of a New York City firefighter; from priests and rabbis to security guards and opera divas; from lapsed Catholics and Jews to Buddhists, Muslims and atheists, FRONTLINE explores and illuminates the many spiritual questions that have come out of the terror, pain and destruction at Ground Zero. 8:00-9:30 p.m. ET AMERICA REMEMBERS – 9/11 Full-length program streams simultaneously on PBS NewsHour. The site will also be streaming live video from 9/11 New York memorial services. During this one-hour special broadcast commemorating the 10th anniversary of the attacks, the PBS NEWSHOUR team will examine the significance of the day in many different communities across the nation. The New York Philharmonic, Alan Gilbert, conductor, with Dorothea Röschmann, soprano, Michelle DeYoung, mezzo-soprano and the New York Choral Artists (Joseph Flummerfelt, director) perform Gustav Mahler’s Symphony No. 2, Resurrection in a Concert for New York for the tenth Anniversary of 9/11 – In remembrance and renewal.